The Alexander McQueen AW16 campaign celebrates the brand’s longstanding love affair with British nature and wildlife. The Alexander McQueen Autumn Winter 2016 collection was arguably the highlight of London Fashion Week. Sarah Burton’s stunning, ethereal creations wowed editors, celebrities and fashion lovers alike, so it’s safe to say that we’ve been looking forward to the advertising campaign for months. Well it’s finally here, and the results are every bit as magical as we had hoped. The campaign features the waif-like beauty Mica Arganaraz – a model with an eerily sombre vibe reminiscent of the darkness typical to the late Lee McQueen’s vision – against a wild, rugged Scottish backdrop. Through these shots, photographer Jamie Hawkesworth takes us on a surreal trip through isolated countryside to mark a new chapter in McQueen’s love story with the British landscape. 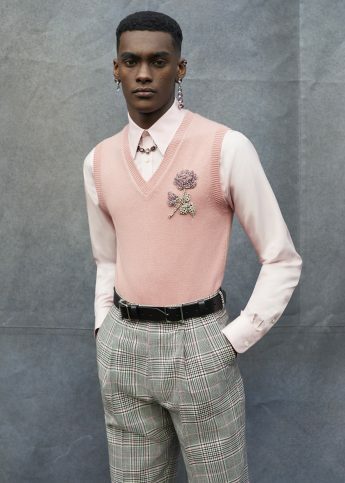 The dreamy campaign pays homage to the sharp monochrome tailoring, ornate ruffling and astronomical embellishment that won praise far and wide back in February. Expect to see the campaign plastered across every fashion magazine worth its salt in the very near future. Until then though, we’re suddenly finding the idea of a summer holiday to Scotland, for once, really quite appealing.